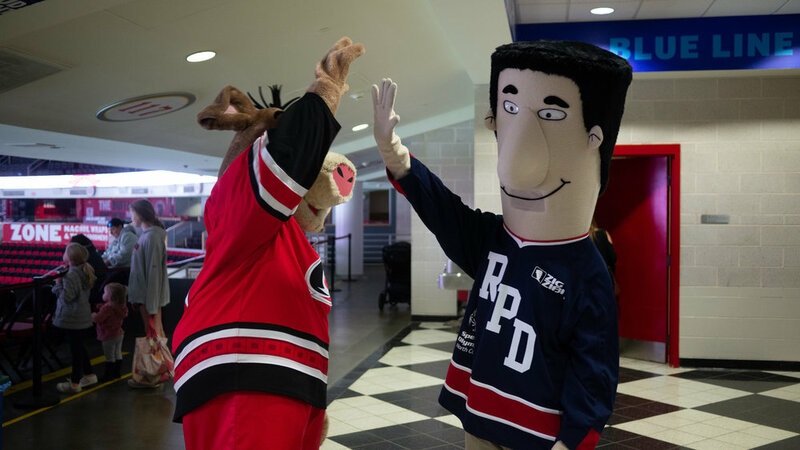 The Raleigh Police Department organized an awesome event to support Special Olympics of North Carolina at the PNC Arena. We were beyond excited to be involved. 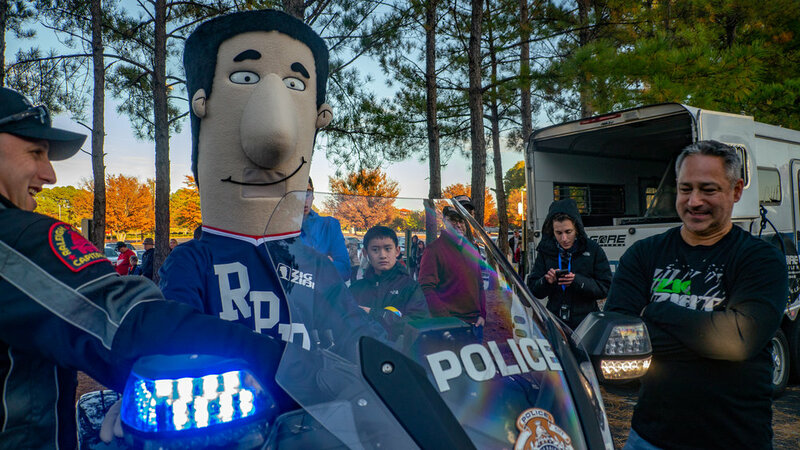 The night began with a show and tell by the RPD, featuring the department’s horses, motorcycles, K9 units, bomb squad and their SWAT truck in the parking lot. 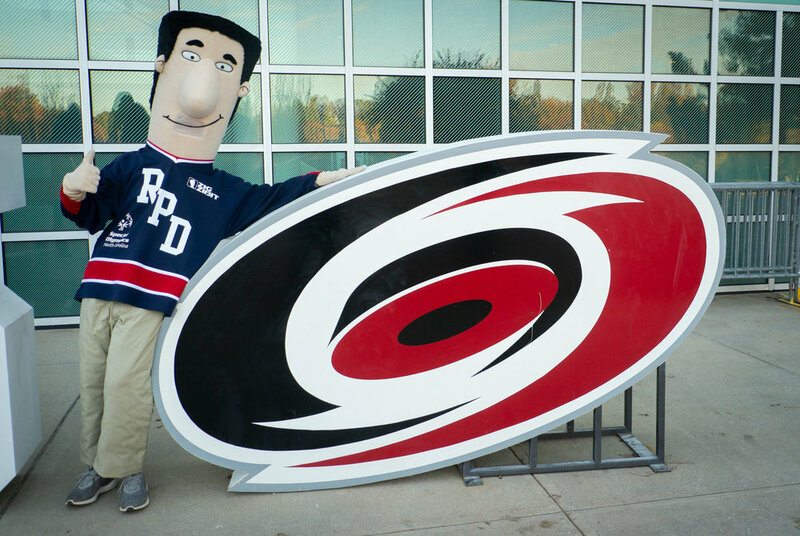 The night culminated with a showdown on the ice between the RPD blueliners and a team of Carolina Hurricane alumni. 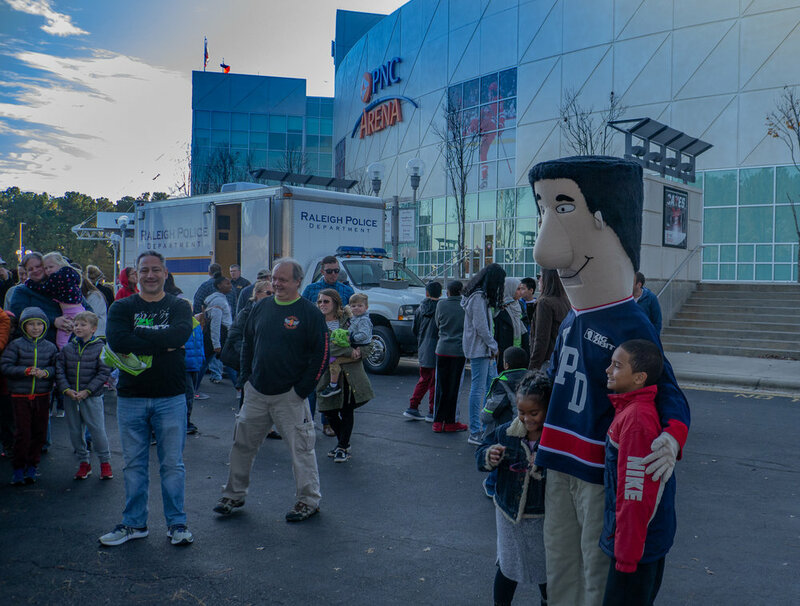 The show and tell was tons of fun for our mascot Zig, who loves any opportunity to get out and interact with the people, and there were a lot of people. Attendance for the free event reached over 1000. 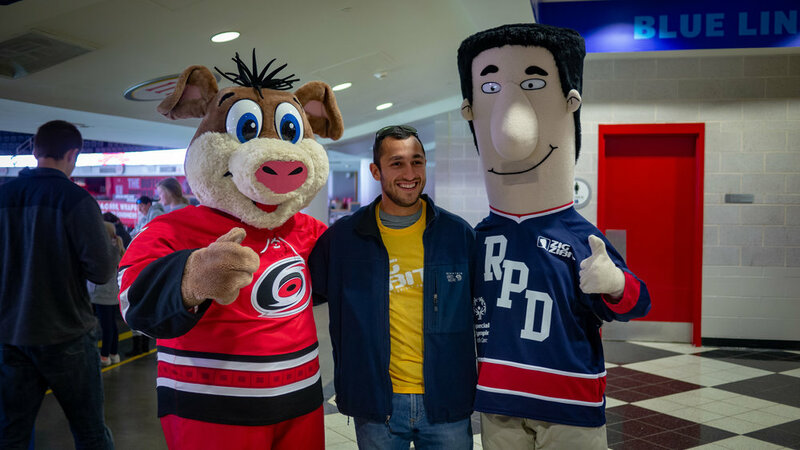 During the game, Zig drove the crowd wild and was honored to share the spotlight with Stormy, the mascot for the Carolina Hurricanes. 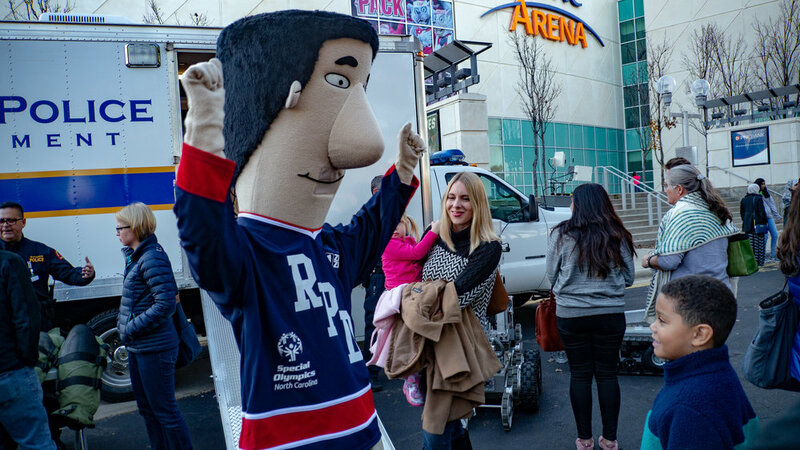 Between donations, merchandise sales, the “chuck-a-duck” activity and the memorabilia auction, the total funds raised for the Special Olympics of NC blew away the record set at the previous year’s event. It was a night we will never forget and for a cause we are proud to stand behind. With community support, Special Olympics can transform lives through the joy of sport, each and every day. Every day they empower athletes to shatter stereotypes and exceed their personal bests on the playing field and in life. 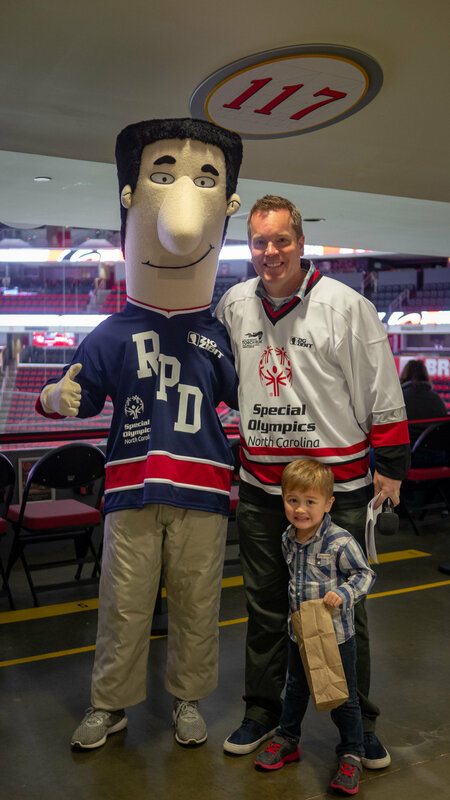 But for every inspiring Special Olympics athlete in North Carolina, there are 6 more people waiting for their chance - and so many more around the world. We encourage you to get involved or to make a donation. Each year, Triangle Business Journal recognizes 50 area businesses as the fastest growing, through their Fast 50 award program. Winners are selected and ranked based on a formula that counts revenue growth and profitability in the preceding three years. This year marks the second consecutive year Zig Zibit has been honored with a spot on the list. As Jake wrote when we were named on last year’s list, we are extremely proud to be included, because of what growth represents and what it allows for Zig Zibit. In short it makes us feel that our core values are appreciated by the market and it allows us to continue adding capabilities to best support our clients. The importance of those relationships really sinks in when reviewing the entire 2018 TBJ Fast 50 list and realizing that 8 of those companies are Zig Zibit clients. Seeing so many clients throughout the night’s winners was the most rewarding part of the experience for us. 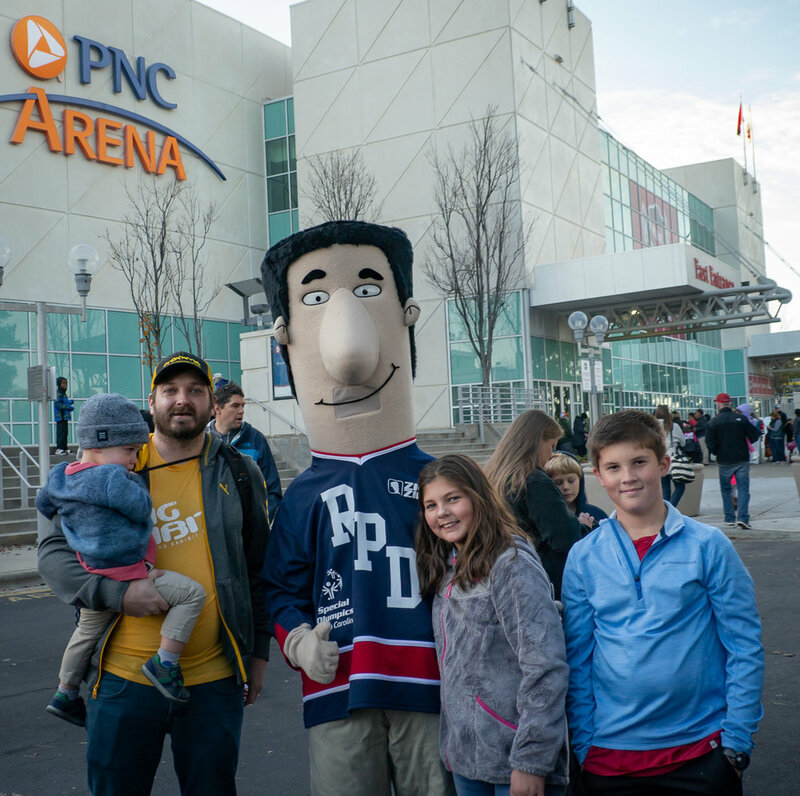 We are intent on making it back on the list in 2019 and we are excited to do our part in driving growth to help even more of our customers make it as well. The International Manufacturing Technology Show (IMTS) is held every even-numbered year in Chicago. IMTS 2018 was the 32nd edition of the event and hosted over 2,500 exhibiting companies with more than 1.4 million square feet of exhibit space and more than 129,000 registered visitors. Zig Zibit was fortunate enough to design and build 9 unique exhibits for 8 great clients. Jake Merzigian, president of Zig Zibit, a full-service exhibit design agency, has announced that again this year Zig Zibit will be a major sponsor of the High Five Conference. It will also be providing the stage designs for the event. Forbes Magazine has listed High Five as one of the top three marketing conferences to attend in 2016. 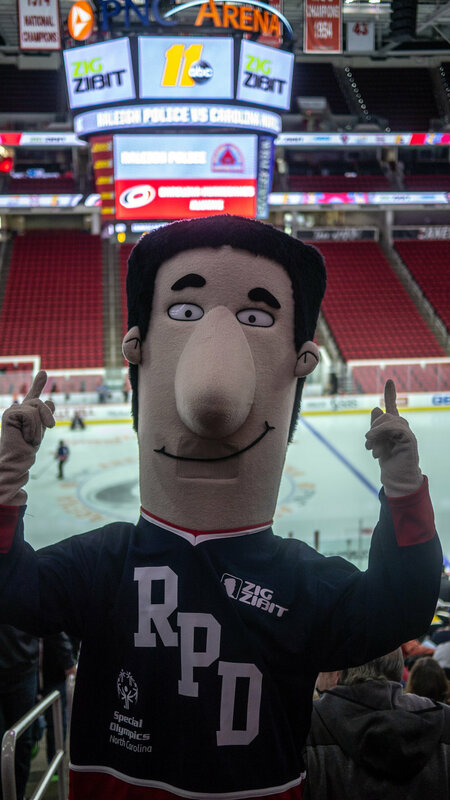 Jake Merzigian, president of Zig Zibit, a full-service exhibit design agency, has announced that Jenn Daniel, account executive, has been named co-chair of the 2016 Triangle American Advertising Awards ceremony for the Triangle AdFed, the local chapter of the American Advertising Federation (AAF). As co-chair, Daniel will help to determine the overall direction of the event and coordinate all members of the planning committee. Companies that exhibit at trade shows are facing a lot of new opportunities and challenges at the same time. In Part 2 (June 2nd), we will discuss trade show execution focusing on the proper use of design and space. The ability to build a network of strategic business partners is increasingly critical. Utilizing social media and digital technologies to generate and nurture sales leads is no longer optional. Above all, specialization is key. Businesses will not be able to survive by selling one-size-fits-all solutions much longer. None of this is easy to accomplish!